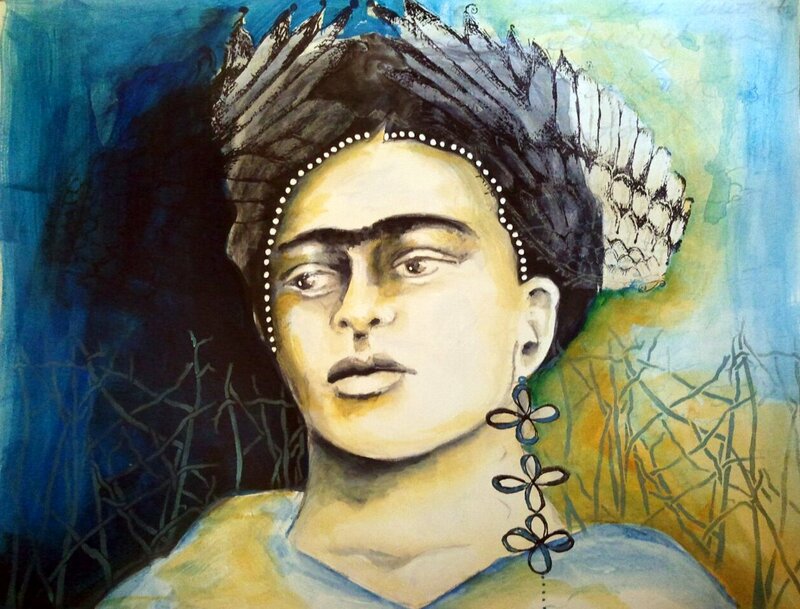 Frida Kahlo has inspired so many of us in one way or another. Her determination to create art even while her body failed her is proof that we all can find time to create no matter what our circumstances are, but it’s up to us to make it happen. 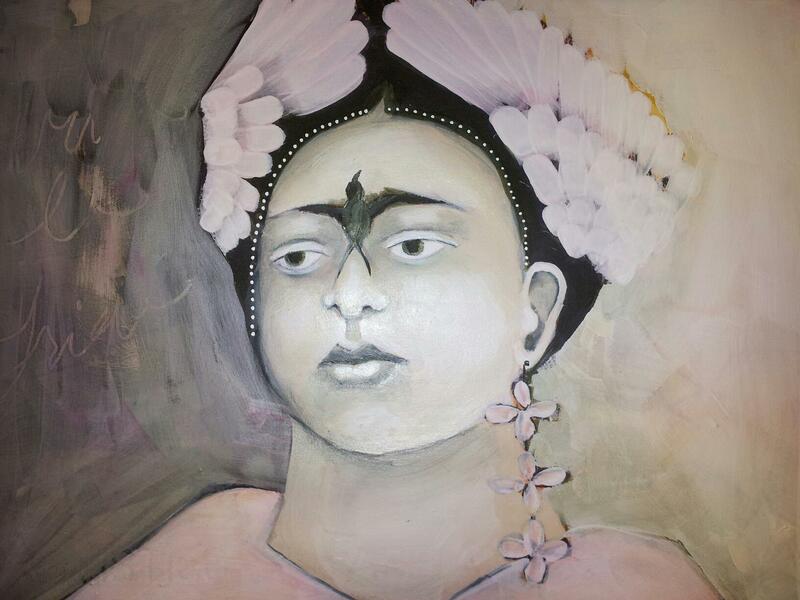 I have been participating in a month long challenge on Facebook issued by Gritty Jane. When I saw her post I just could not resist joining in even though I’m honestly up to my eyebrows in work. But, I’ve come to find out that the busier I am the more I need to squeeze in a little art time that is just for me. Creating art just because I love to do so. This piece was done last year. It’s always fun to look back at old work and see how you’ve grown and how your art has evolved. That’s what is fun about art journaling-it’s a record of your art growth. And you can use old work to inspire new work. So I encourage you to channel your ‘Inner Frida’ and make art, even if you don’t have time for it-especially if you don’t have time for it!! « Brand New Online Class Starts June 6th! 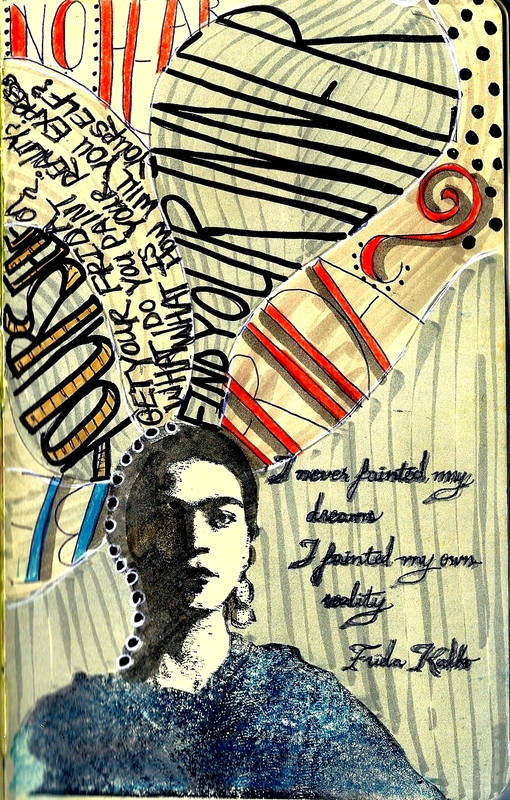 Your Frida pages are all so beautiful Pam. I have only contributed one to the challenge…but sure have enjoyed see them all come across on facebook! Pam, I think these are some of your best so I’m glad I got to see them. I’m impressed with the depth of emotion you expressed here. Love the bird eyebrows andfeathers. Very cool. Going to jump over to Gritty Jane’s site and take a peek. I’ll see you in AG workshop. Whoohoo! Thanks for the inspirtion. 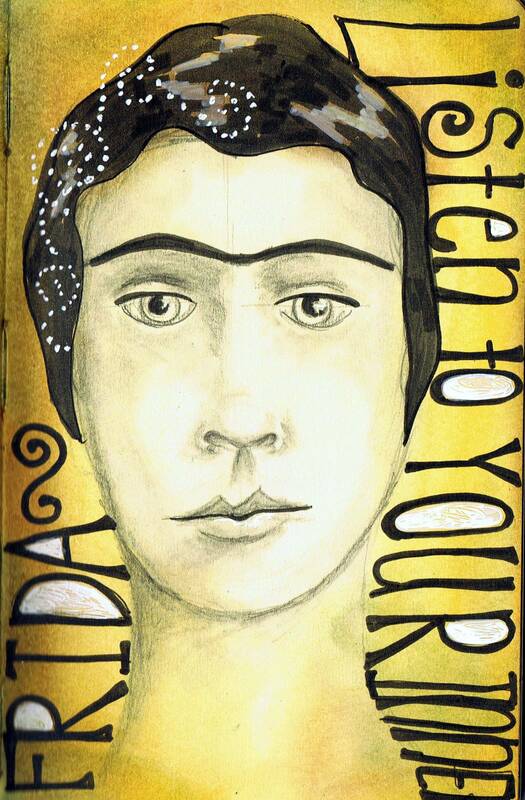 I think my favorite Frida is the last one with the bird “eyebrows”. I am taking you Pursuing Portraits class, and my portraits are getting better. Thanks. Lovely! 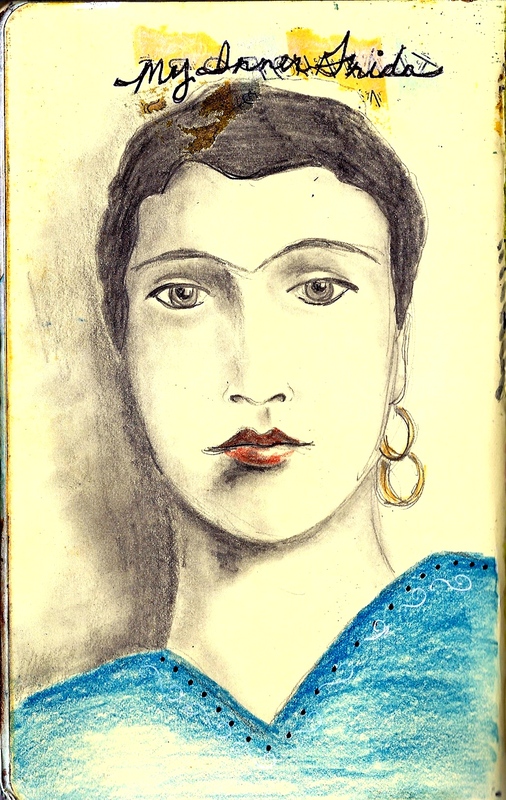 As you said, Frida has inspired so many artists and I am one of them. Thank you for sharing such beautiful pieces!